It seems that the fans of the hidden objec puzzle adventure genre have been treated to a yummy game once again. All of the aspects of 1 Moment of Time: Silentville - the story, the graphics, the puzzles - are polished enough to make it a truly amazing experiemce. 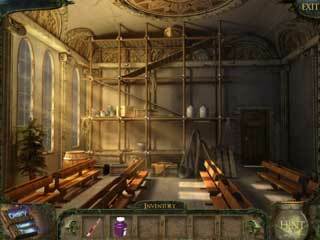 The hidden object part of the game is done in a fresh kind of way. Talking about the different aspects, it is worth to start with a story. The game's story is one of the things that make it totally attractive. You are to visit a town, that there is nothing special about. Except for the fact that people and things misteriously disappear there without a trace. Even tourists and visitors face the same destiny. The graphics are very well done, and they show you how the characters disappered. They perfectly create the needed creepy atmosphere. There is also a wonderful voice over to complement the graphics (for those who appreciate this aspect of a game). 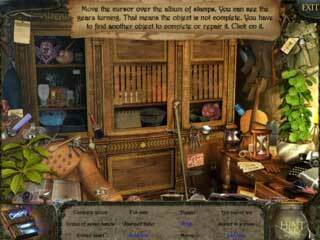 The hidden object part of the game is done in a fresh kind of way. Those levels are very interactive. You have to perform sometimes a row of tasks in order to get your object. This is catchy. The mini-games are fun to play. They cover both the ones that we all have seem a million times and also some new ones. As to the game mechanics, sometimes it feels like you don't know where to go and what to do next, but there is a great journal and a map to help you. Plus the hints are always there to point to the next character or location which are many to visit. All in all 1 Moment of Time: Silentville is the kind of a game that makes you so happy just for those few hours that you get to play it. 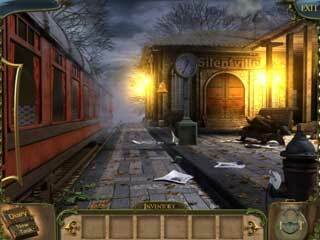 This is 1 Moment of Time: Silentville review. Download this game here.